“I started fighting in the year 2002, I am 24 years old. I became a Dambe fighter through the deceased Mr Garba Dan Garmu Garkuwa. Mr Garba loves me a lot when I was a kid at the time we use to enter Ala wata fighting ground a lot to watch the fights. That attraction made me to fall in love with the sport and I eventually became a fighter.I was quite impressed with fighting and especially that it is very lucrative. Whenever I am ready to fight, all I need is to meet with my mallams (marabous) for them to pray for me against an opponent. If I am fortunate, they will provide me with an effective emulate of their choice. I usually feel some kind of strange strength coming all over me when I am in the ring and ready to fight. I do get a lot of money during the fighting seasons. Initially, they use to pay us N36,000 ($100) for each fight then it was later increased to N48,000 ($133). We tie our fists with ropes made from rags and use it to try to flatten an opponent to the ground or when he can no longer fight back. It should be known that money wasn’t the only reason I became a fighter, I admire fighters and fighting a lot. As a kid, my mother use to have people reporting to her that Sheriff has broken someone’s head or mouth. I was very stubborn back then. I personally know about 15 to 20 Dambe fighters who have died during fighting. There was a fighter I fought with once, he was so fortunate not to have died after our encounter, but he was so sick such that it ended his career “ SHARIFF GANYE, Dambe warrior. Dambe fighters are the toughest athletes in comparison to other sports in Nigeria. It is aggressively and brutally competitive, sometimes they enter the filin Dambe (ring) knowing fully well that they could be cut, bruised and could receive punches or kicks that will render them temporarily unconscious or permanently retired. In every fight, there is a risk of suffering career-ending injury or a career boosting victory. For those who have been following and keeping tabs on my blog on this platform, Dambe needs no introduction to them. But simply put, it is a stylized form of traditional Kickboxing found especially in northern Nigeria and some few West African states. After the usual three rounds of kicking and jabbing by the local boxers, more often than not are left with bulging or bleeding eyes, scattered teeth, broken jaws, shattered nose, and painful or broken ribs. Granted, almost all the combat sports are dangerous to a certain limit. In fact, it is quite rare to come across matches that will end up without having one or two competitors hospitalized or even dead. This is the painful reality of these violent types of sports. I have been wondering what will happen when a professional fighter dies in the ring. Are there special packages prepared by the organizers for such unfortunate incidents in the event of death? It is a common knowledge that fights that are legal are not taken to the courts for the prosecution of an opponent or the organizers. In sub-Saharan Africa for example, traditional activities makes little or no room for extraneous interventions such as lawsuits or some kind of monetary compensation. “I am not afraid of death, because it is a necessary end for everyone. I depend on Allah who has my life in his hands” SHERIFF GANYE. The above quotation is a typical expression of an average fighter in northern Nigeria; these expressions stem from their religious teachings and believe that nothing can happen to anyone without God allowing it to. Hence the common expression “Allah ne ya kaddara” (it is God who allowed it to happen). As such the dead body of a fighter who dies during a fight will be conveyed to his home and in a matter of hours is buried according to Islamic rights without further ado, while the family will be left to their fate. Unfortunately, the grittiness of Dambe fighters in Nigeria stands in sharp contrast with the flamboyant and ostentatious lifestyles and wealth of their more refined and organized counterparts in other parts of the world. Many Dambe fighters live in squalid conditions, such as living in mud thatched small huts in the rural areas and while in urban areas in slums, without the basic necessities of life —pipe borne water, water closets, bathrooms, electricity, medical care, etc. Therefore, anyone who is living in such demeaning condition can be regarded as poor. Hence my reason for qualifying Dambe athletes as poor. There are insignificant number of top fighters who enjoy momentary patronages from government officials now and again and do have impressive paychecks, but there is the need to also look at the guys who are down the pecking order like Sheriff, who receives stipend that may last only during the fighting season, barely making ends come closer but hardly meeting. To sheriff, $100 or $150 may be sufficient to risk his life or suffer life threatening injury, moving from one tournament to the other on potholes infested roads. But one may wonder why anyone will be ready and willing to gamble his life for crumbs. My major grouse is with the organizers who choose to pay meager amounts for such brutal sport; it is inhuman to peg the value of human life at $150, worst still, is the clear absence of any form of life insurance policy or any form of package in place for the families of fighters in case of serious injuries or deaths. Of course, no form of monetary or material compensation will be able to supplant human life, but no doubt it will go a long way in alleviating the hardships the family may face and especially the pains of having a loved one killed in a brutal sport. While we grumble and envy the take home packages of other athletes in football, basketball, tennis, golf and the likes, it is also proper in my opinion to point out other sporting athletes who are treated sub-humanly despite the brutality of the sport and the dangers it portends for them. Unfortunately, it is sacrilegious for these athletes to cry out or protest. Such action will be tagged as traitorous and the reprisal that it may incur from the management and organizers will be ruinous. As such these athletes continue to receive the crumbs that falls from the masters table, while they try to have a smile crease their already damaged faces year in year out. We call it "suffering and smiling" in Nigeria. 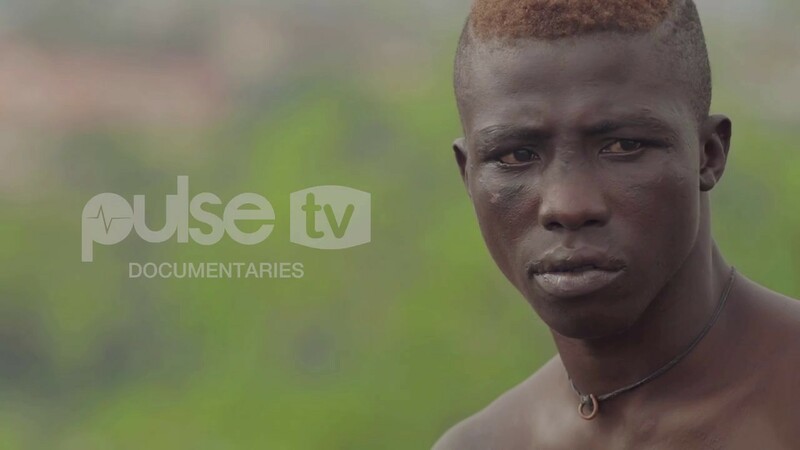 The YouTube video below is a short Hausa documentary by pulse TV on "Inside The Brutal Life of a Young Fighter", Sheriff Ganye. The two quotations above were translated from Hausa Language into English by me. I don’t know how your local athletes are faring in terms of their pay packages, you can tell us briefly at the comment section or at most write your own story. THANK YOU FOR STOPPING BY. @izge.